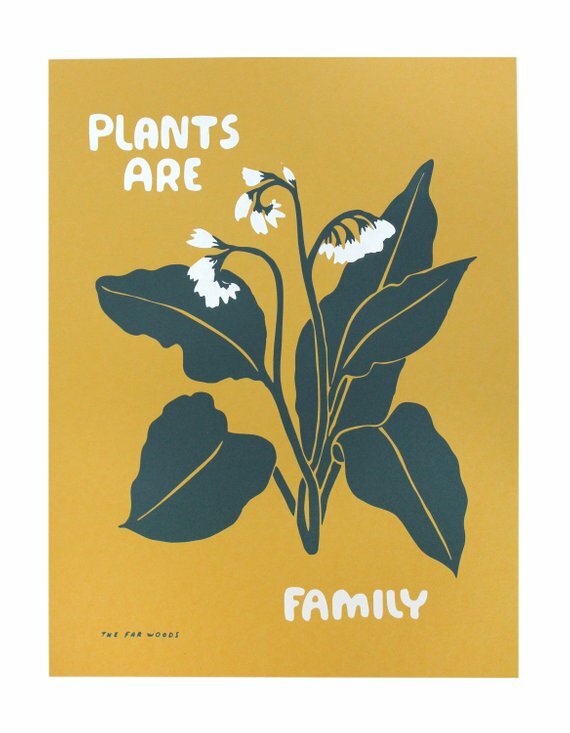 “Plants Are Family” Print by Nina Montenegro, featuring Comfrey. Open Edition. Signed. 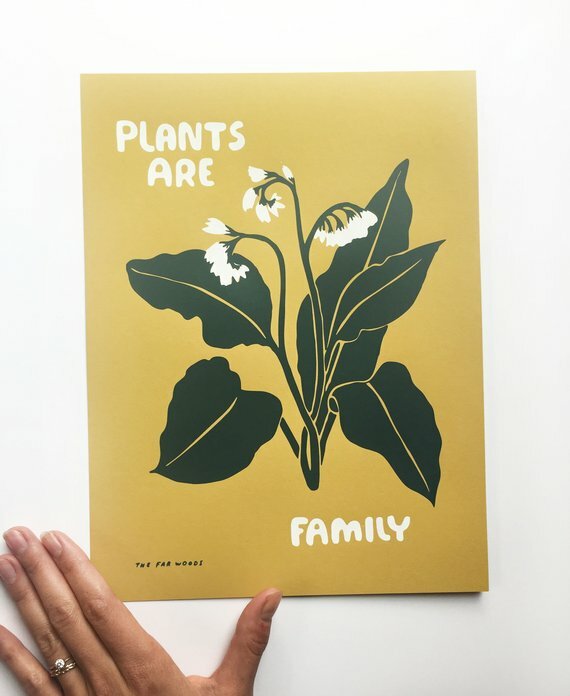 Two color screenprint in grey and yellow ink on brick red French Paper cover stock. 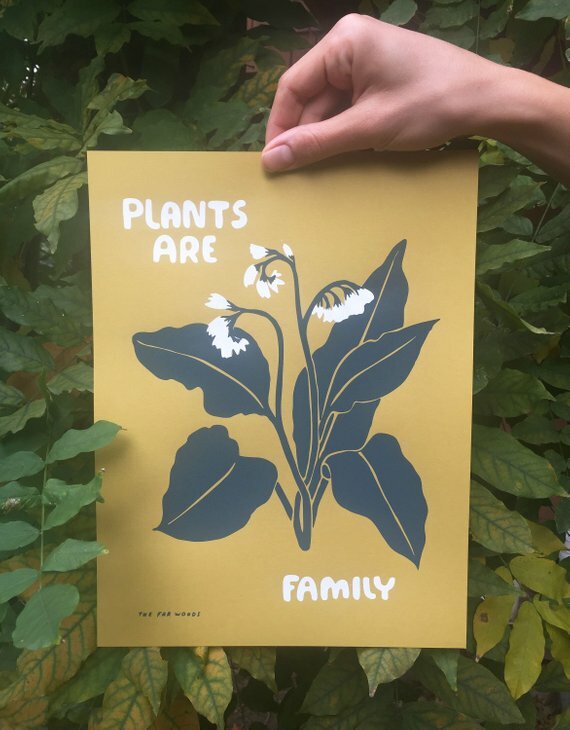 Hand screenprinted in Portland, OR by Nina and Sonya Montenegro. 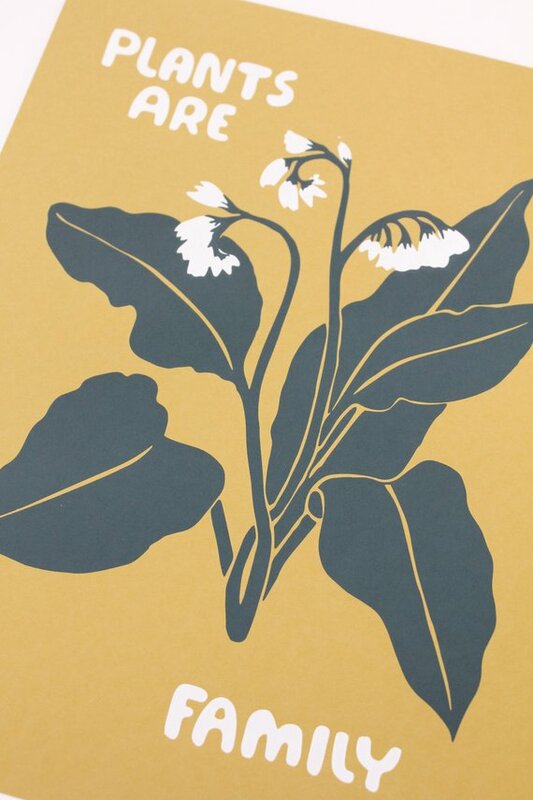 Slight variations in ink application may exist.